If you’re new around these parts, in which case a huge welcome, let me explain that I’m not a natural runner andcame to exercise late in life. Let’s just say I had a dissolute youth but we won’t go into that now! I don’t love running. In fact, a lot of the time, I don’t even like running (t makes you sweat and get out of breath!) which is why I recommend walking for anyone who’s never really exercised before. But even if I haven’t learned how to love running, I have learned how to run. In the last few months I’ve gone from running (or slow jogging) 7km in one hour, to running 5km in 27 minutes. That’s a significant improvement so, after just over two years of running, I’ve got some handy tips to share about running for beginners over 40. Running at any age, and especially running for beginners over 40, takes perseverance so first let’s get motivated by considering the benefits of running. 1. Running is THE best form of calorie burning cardio-vascular exercise. Running, along with cross-country skiing, is the most intense sport for cardio fitness, burning 800-1000 calories per hour. So if you want to get fit, burn calories or work off fat running is the most efficient exercise form. It’s a great way to combat middle-aged spread or obesity which can lead to a smorgasbord of chronic medical problems. 2. Running lowers high blood pressure and reduces your resting heart-rate. 3. Running improves your bone density which is important for women and anyone prone to osteoporosis because it’s a weight-bearing exercise. 4. Running lowers your mortality rate which means that if you run you’re less likely to die. As benefits go they don’t get much better than that. Running for Beginners: Myths Busting! Running will not cause injuries unless you go too hard too fast. It takes time to get up to speed with running. Think years, not weeks or months. So if you set yourself a big running goal like a marathon or half-marathon make it six or 12 months away to allow yourself time to comfortably reach that goal. You don’t want to injure yourself or put yourself off running for life. Pick a distance like a 5km loop from your home then alternate running and walking. You could time five minutes walking followed by five minutes of running or just set physical targets to reach. For example, if you’re on the pavement run to the first lamp post (or past 10 of them) them walk to the next one (or past the next ten). If you’re running on the beach run to the first exit then walk to the next and repeat. Having a target to run to makes me keep running longer than I normally would and the walking intervals allow me to recover and enjoy my workout. Start with running for five or ten minutes, then walking so you at least 45 minutes of exercise. Do that three times the first week then extend your running by five minutes each week until you slowly build up to running continuously for 30 minutes. Don’t try to run fast or keep up with anyone. Just run at your own pace and keep running. Don’t stop until five minutes have gone by or you reach your target. Don’t stop running even when you want to. Just note the thought (I’m knackered/I hate this/This is killing me/I just want to walk) and keep on going. Commit to running three times a week at the same time each day for one month and don’t skip a day. Hopefully you’ll have formed a habit and got over the hardest part after that time and will continue. Running once is no good. Last year I just ran once a week but it was a regular event and I never skipped it. This year I’m running four times a week. Aim to run three or four times a week but no more as you need time to recover. Remember you’re running for yourself. It’s not work so enjoy the scenery and try to relax. If you’re feeling tense take a big breath and exhale as you shake our your arms. Running will help you destress in the long-term but make sure you don’t let it stress you out when you’re beginning and it’s hard. Be sure to consciously relax when you’re running. Look around you and enjoy the scenery. While some people struggle to get out of bed to start running or complain about aching legs I find breathing the hardest part. If that’s the case for you try to forget about breathing – it should come naturally. If you’re running out of breath be sure to exhale fully so you intake a good deep breath of fresh air to keep you running. It’s counter-intuitive but if you want to run faster you need to take shorter strides more often, not longer strides. Taking shorter strides will also help you avoid injury. You can run in anything lose, lightweight and comfy but you should invest in good, professionally fitted running shoes as they will help you prevent injury. They may cost $100-200 but that’s a small investment when you consider the benefits of running. Running with other people helps you run longer and faster and makes it sociable but finding a friend to join you can be hard since we’re all so busy. The free timed 5km Parkrun events are what inspired me to start running regularly. They’re a fabulous way to meet other runners, get motivated and keep trying to improve your fitness. If you’re in one of these countries you may be able to join a free ParkRun timed 5km running event near you. To find out more Google ‘Park Run’ and your home town – or you can even start your own ParkRun if you can’t find one near where you live. There are lots of running clubs around which also make running more fun and will help you push yourself harder. I recently joined Lazy Runner and am loving the support and encouragement of my running buddies and coaches. The amazing running coaches and the Noosa Lazy Runner team have pushed and motivated me to run further and faster than ever before. Thank you Angela and Angela team Lazy Runner Noosa! So are you ready to go running? As with anything that’s worth doing you shouldn’t expect to see any health benefits of running in the short-term but if you stick with it there are huge benefits. I’ve impressed myself with my commitment and progress and proved that anyone can run. Even beginners over 40 like me and you. Since I started running I’ve met new people, got out of my comfort zone and enjoyed the great feeling of satisfaction that comes at the end of each run. I may not love running but I love the feeling you get after a run! Are you over 40 and into running or interested in it? Have you got any tips to share or problems we can help you with? Are you up for a bit of running? If so follow the tips above and incorporate running into your walks this week. Otherwise stick with the walking fitness program for now. Walk every day this week. Make walking an enjoyable part of your regular routine. Don’t worry about speed or distance, just enjoy your walking. 2. Follow the #OneHealthyMove revolution on Facebook,Instagram and Twitter. 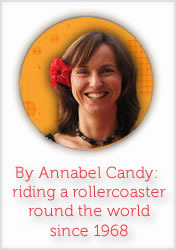 These are great tips, Annabel. They even tempt me, the one who resists running with full force. :) But it’s hard to argue the physical benefits and you are so reassuring that it’s not injurious. Something to think about, but I think I’ll start with walking first. Loved your article on that. I’m glad you are taking care of yourself so brilliantly. That’s great to hear. Walking is definitely the best way to get started for beginners then you can add a bit of running in when you’re ready. Slow and steady – who knows where it might lead – we could be marathon runners by the time we retire ;) Kidding – the farthest I’ve run is 12km and that’s probably long enough for me! Good pointers for beginners – I was running but fell out of it … need to start up again! Not sure what to say as I keep making excuses. I used to run in my 40’s and even entered some events in my mid 50’s but been naughty lately and have not done enough exercise. I think you have to listen to your body and walking is a great way for most people to restart exercising. Like most I do not love running but when I did it regularly it helps fight of any blues. Hello theoretically I am getting back into running only my knee is giving me gyp so I am not. But the intention is there. I did a great learn to run 5km thing last year and did some Parkruns which are fab. I am slow, it’s a job not a run. A shuffle even. But feels great and I will get there again. Come on knees! Running was my saviour in my youth. I ran cross country, the 1500 metres and 800 metres all through school, and had great success too. It certainly is a stress buster and I think the time has come for me to regain the ‘love of running’. Thanks for a great post. Previous post: Do You Ever Want to Disappear?